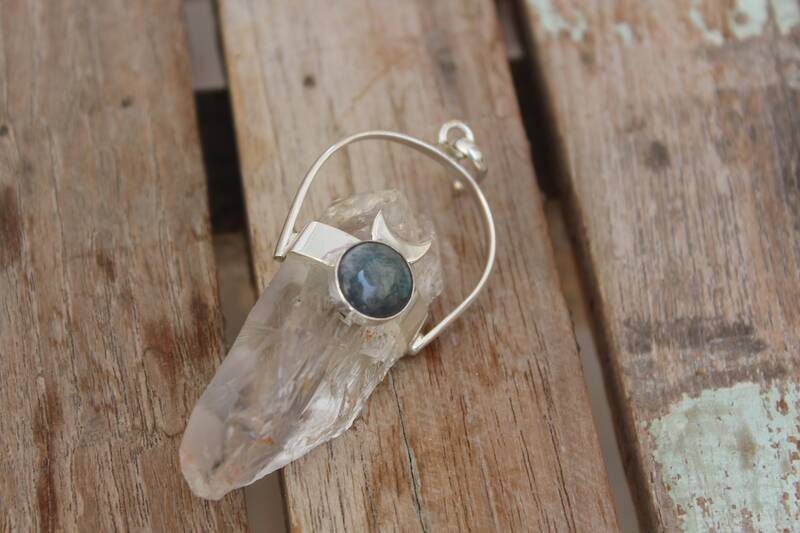 A handmade necklace created using a high vibration piece of raw, unpolished quartz and mini labradorite crystal, with sterling silver crescent moon detail. I am passionate about using only the most beautiful crystals in my creations and this raw quartz is no different, the crystals were hand sourced on our adventures in india and turned into magical necklaces here in our workshop in the U.K. 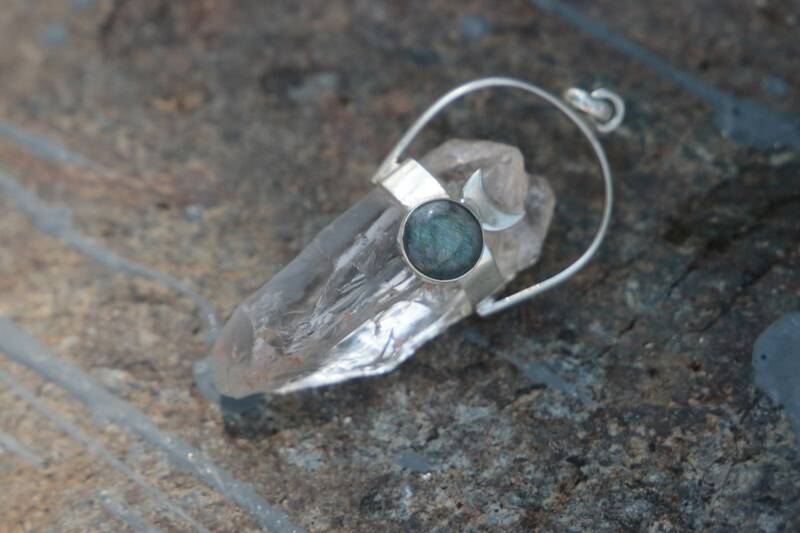 I am passionate about using magical crystals and only the most beautiful get turned into jewellery! A lot of our jewellery is inspired the magic of the moon and we love using moon symbols in our pieces! 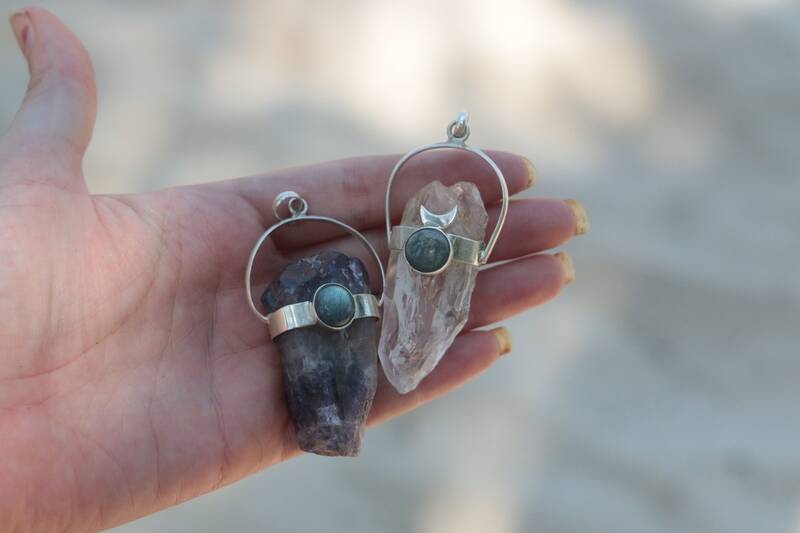 The moon is symbolic of and represents the divine feminine, powerful energies and new beginnings. 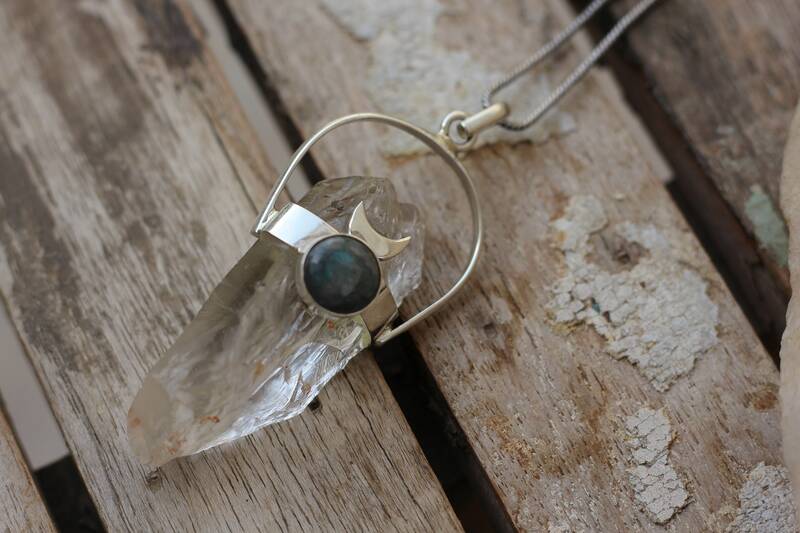 This raw Quartz point necklace is truly beautiful and unique and it has been entirely handcrafted using 925 sterling silver and glimmering labradorite cabochon crystal. 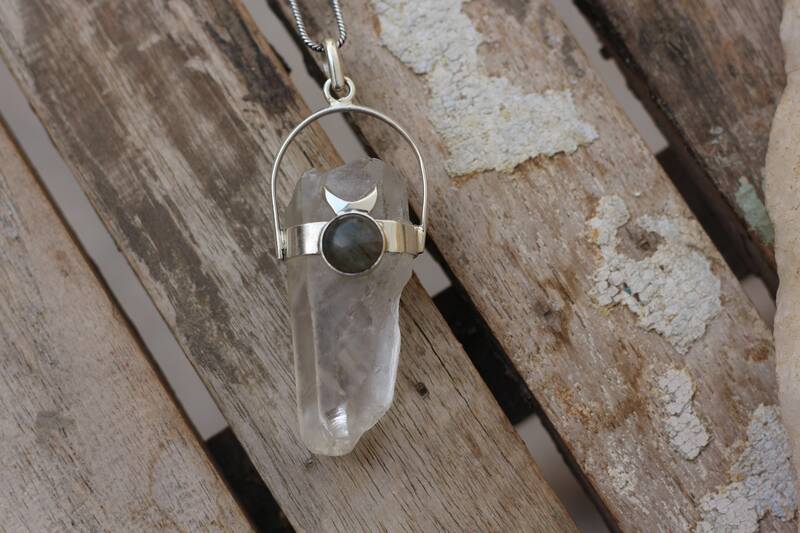 Raw crystals hold their energies more than their polished counterparts making them extremely powerful! A power stone used to amplify energies, to help heal and to aid manifestation. 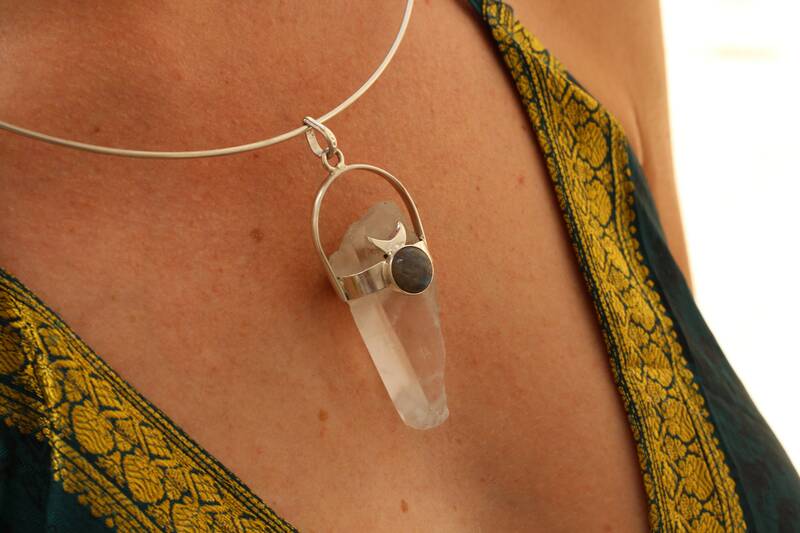 Quartz is linked to the crown chakra bringing clarity of consciousness. It is also an excellent stone to help balance and restore harmonies to wearers. 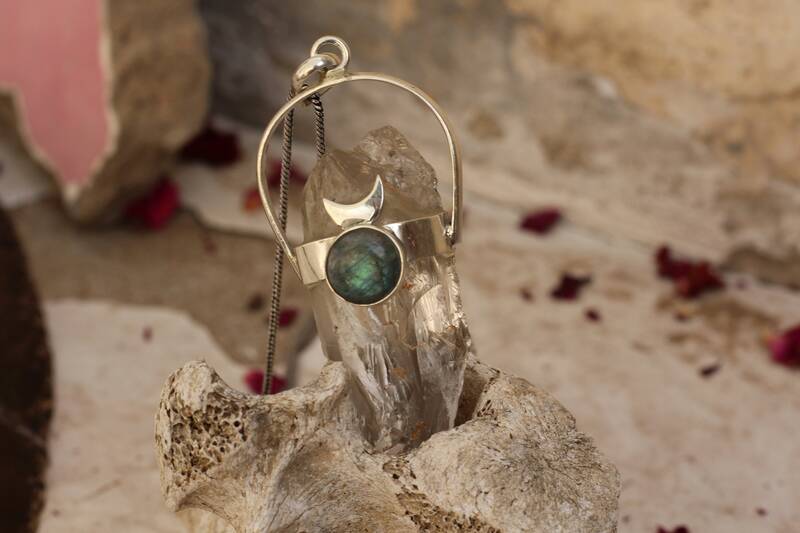 Labradorite is a glowing iridescent stone with cosmic colour running through. A stone of mysticism and magic. It is used for protection against negative energies and excellent for awakening one's own awareness of inner spirit, intuition and psychic abilities. Labradorite is associated with the solar plexus chakra, making it great for working with grounding the wearer, it also helps to open the third eye and unblock the throat chakras. 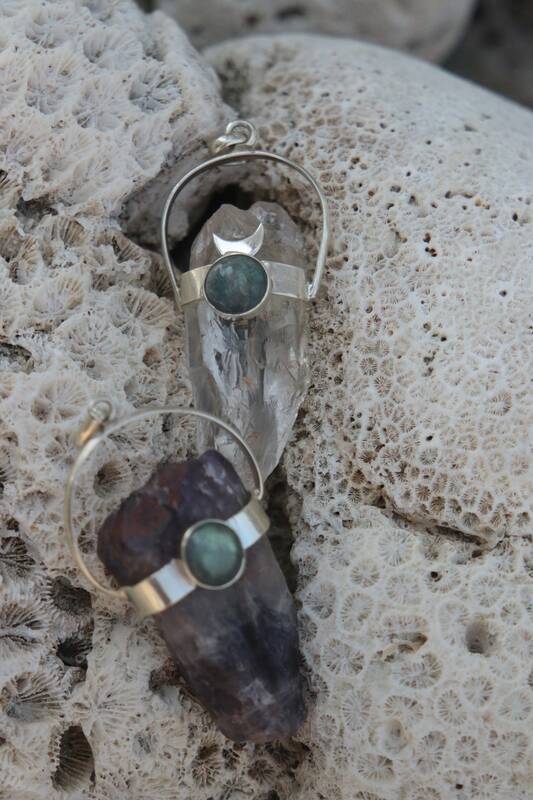 Wearing these stones together creates a powerful and magical piece! We are passionate about creating bold and unique pieces and we only have a handful of this style made and EVERY ONE IS DIFFERENT, making it as unique as you are. *All jewellery comes neatly boxed and in an organza bag, making it easy to store and great for gift giving. 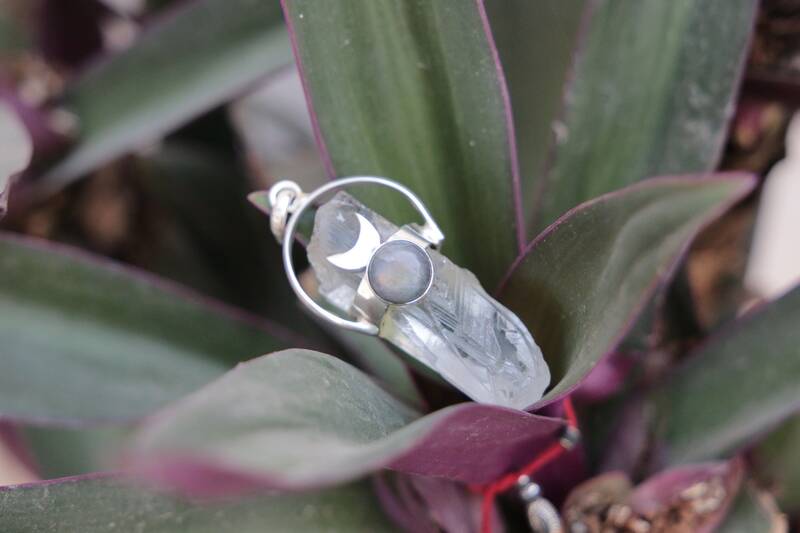 *Due to the handmade nature of these pieces and the natural qualities of the crystals, crystal shape and transparency can vary to those photographed - This is part of their unique charm and it also means that no two pieces will ever be identical.